Artificial intelligence is a hot field right now, with rapidly developing advances and new business applications. Deloitte’s David Schatsky, an expert in this area, is teaching a free NovoEd course for the public, Cognitive Technologies: the Real Opportunity for Business, which starts Oct. 19. NovoEd asked David a few questions about AI and the course, which you can see below. NovoEd: People have been talking about ‘Artificial Intelligence’ for a long time–what is different or new that is generating so much recent interest? David Schatsky: Artificial Intelligence (AI) systems have been getting really good–performance at tasks like recognizing speech, answering questions in natural language, recognizing faces and other images is getting better almost every day. The technology stars are aligned in a way they have never been to make this an era when AI technologies will become ubiquitous. NovoEd: Some prominent thinkers are concerned about risks of rapidly progressing AI. Do you think there are dangers or risks we should be concerned about? David Schatsky: There are surely dangers and risks. Humankind has invariably underestimated the risks of new technologies, often failed to institute appropriate safeguards, and lagged in the development of ethical and regulatory guidelines to shape the trajectory and use of these new technologies. AI is no different in this regard. Thousands of uncoordinated acts of progress will make super-smart machines an inevitability. However, it is not inevitable that such machines will control us, and we should not thoughtlessly give such machines too much power over our lives. NovoEd: How do you think AI will affect jobs in the future? What types might go away, and what types might be created? David Schatsky: There is no way to know for sure. I am in the camp that believes that AI will eliminate tasks, more than jobs. People equipped with AI powered tools (including information systems that support research, analysis, and decision making), will become unimaginably productive and have access to insights previously available only to rare experts. Cognitive technologies embedded in products and services will make new types of interactions with these products and services possible. This may create a need for more user experience designers, or at least designers with evolved skills. Ironically, it’s possible that we will enter an era of humanized, personal service: as a growing number of mechanical and cognitive tasks get automated, it may create an opening for human concierges in every field from medicine to banking–who can deliver world-class services (powered by cognitive technologies) with a human face. NovoEd: What are some of the emerging applications of AI that you personally find most interesting? David Schatsky: As a researcher, I like the tools that can make research easier and speed the road to insight. 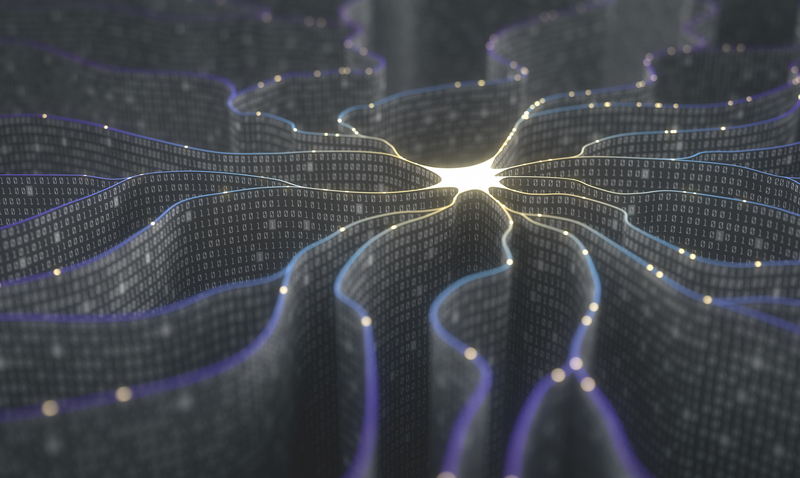 Natural language processing and machine learning, combined with advanced visualization can help us cope with exploding volumes of information. More importantly, these can help us achieve valuable insights in fields ranging from public health to (perhaps one day) international relations. Among the technologies that inspire me the most are those that can restore mobility, sight, speech, touch, or other abilities to people who have lost them due to injury or illness. NovoEd: What should companies do to make sure they are staying aware of and taking advantage of AI advances? David Schatsky: As these technologies will likely become woven into the fabric of our work lives, to avoid being left behind companies should make tracking, piloting, and applying these technologies appropriately a part of their technology strategy. Companies should undertake small, low-risk projects to build institutional knowledge of what is possible. Those companies with a penchant for taking risks in pursuit of market leadership should go deeper and look for transformational opportunities to apply cognitive technologies. NovoEd: Why are you teaching this course and offering to the general public? David Schatsky: We believe we have a unique point of view on the impact cognitive technologies will have on organizations, and we want to share our thinking with the broadest possible audience. Investing in sharing our thought leadership and insights helps build relationships with clients, collaborators, market participants, and individuals who may someday work with us. NovoEd: What do you hope learners will take away from the course? David Schatsky: I want people to see past the hype, to recognize that AI means new possibilities, and that these are not just in the future but in the present. I want to empower people to give their best to their organizations, their society, and themselves.